Will it be an unblemished season or grand final upset? 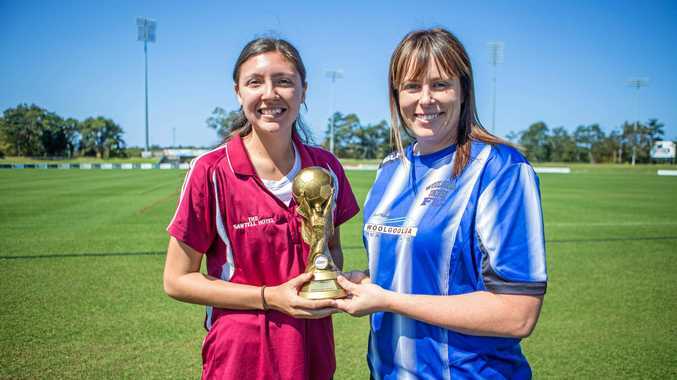 TO BECOME North Coast Premier League champions the Woolgoolga Wildcats will have to beat the best. Premiers Boambee Eagles go into Saturday's grand final in a position that every team starting a season dreams of - a title defence decider without a loss all season. "We've had a good season, we've been undefeated and are on a pretty good streak at the moment and we're hoping to continue that into this weekend,” Boambee Eagles' Bianca Overleuter said. "Obviously there's always that pressure when you win all the time and you're expected to continue to win. Woolgoolga Wildcats' Jada Johnson said the return of key players would hopefully see the grand final underdogs reverse a 3-2 loss to Boambee a few weeks ago. "We were missing three key players, including our captain coach, so we went down but it was a very good result considering missing those key players,” Johnson said.